Come home everyday to a very neat and manicured neighborhood! Get to this unit and enjoy Florida living at its best. Enjoy the outdoors on your pavered patio facing the beautiful pond view!! The first floor has your kitchen, living room with high ceilings, fireplace and sliding doors to your patio! Then the whole entire second floor is your very own master retreat! On this floor you also have his and hers walk in closets! In the carpeted master bedroom you have a fireplace to keep things cozy on our cooler nights. The master bath has a jetted tub, separate shower, dual sinks and private water closet. Laundry is easily done on the second floor so no lugging laundry around up and down stairs. Your third floor has 2 more carpeted bedrooms with a shared bathroom. Views are lovely from this third floor. The floors are in good shape, walls have a fresh coat of paint and the unit has a newer roof. So no big obstacles to overcome, simply bring your toothbrush and move right in! The community has tennis courts and a community pool, so all weekend you have activities to do - you never have to leave. 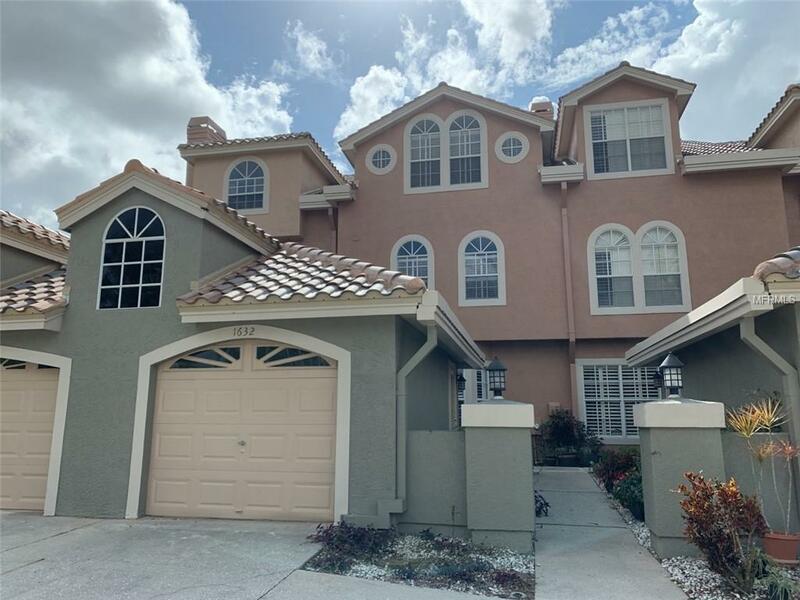 There is a security gate at the complex and you have an attached single car garage to keep the car cool during the hot Florida summer months. You have easy access to the beautiful Gulf of Mexico beaches and the Tampa Airport. Pet Restrictions Verify All Pet Restrictions With The Hoa. Listing provided courtesy of Weichert, Realtors? - Equity. Lovitch Realty Group, LLC is Hillsborough, Manatee, Sarasota, Pinellas' most innovative real estate team.